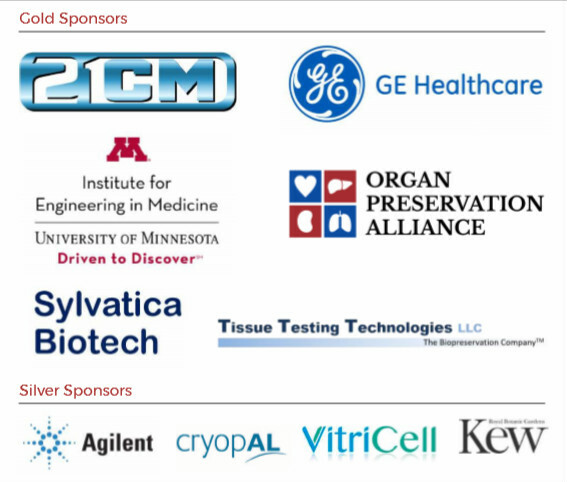 Thank you to the sponsors who helped make CRYO2018 a success! Organizing a meeting of this size is a tremendous undertaking, and the financial support given by our sponsors helps to make this annual event possible. Remember to support the sponsors who support the Society for Cryobiology. Instituted in 1992, the Peter L. Steponkus Crystal Award is the Society's most presitigious student award for the best student presentation at the Annual Meeting. Chosen from four finalists, this year's Crystal Award was won by Zoran Marinovic, a PhD candidate in the Department of Aquaculture at Szent István University, Hungary. 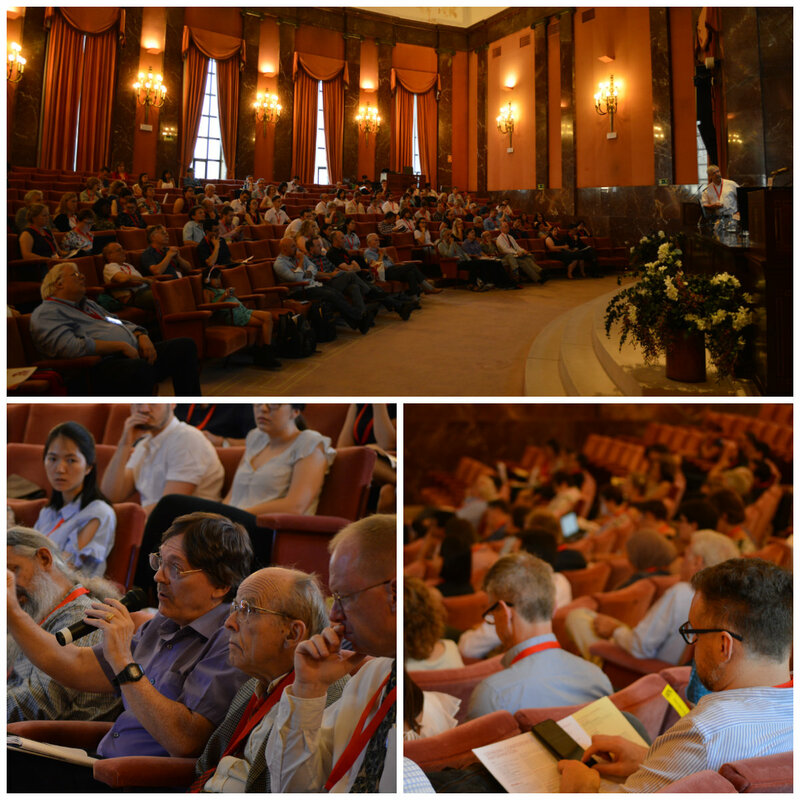 Zoran's presentation Testis Cryopreservation and Spermatogonia Transplantation as a Tool for Zebrafish Line Reconstitution won high praise from the judges, particularly for his strong responses to the judges' questions. The Crystal Award carries an honorarium of $1,000. The competition for this year's student best poster award was strong, with approximately 40 entries, judged by the Awards Committee over the two poster sessions. Honorable mentions were awarded to Vera Sirotinskaya (The Hebrew University of Jerusalem, Israel), Kezhou Wu (University of Alberta, Canada), and the winner announced as Mélanie Chow-shi-yée. Mélanie is a PhD candidate in the Department of Biological Scicnces at the Université du Québec à Montréal, Canada. Her winning poster was titled Protection against cell death during cryopreservation with wheat proteins: which mode of cell death? The Poster Award carries an honorarium of $500. 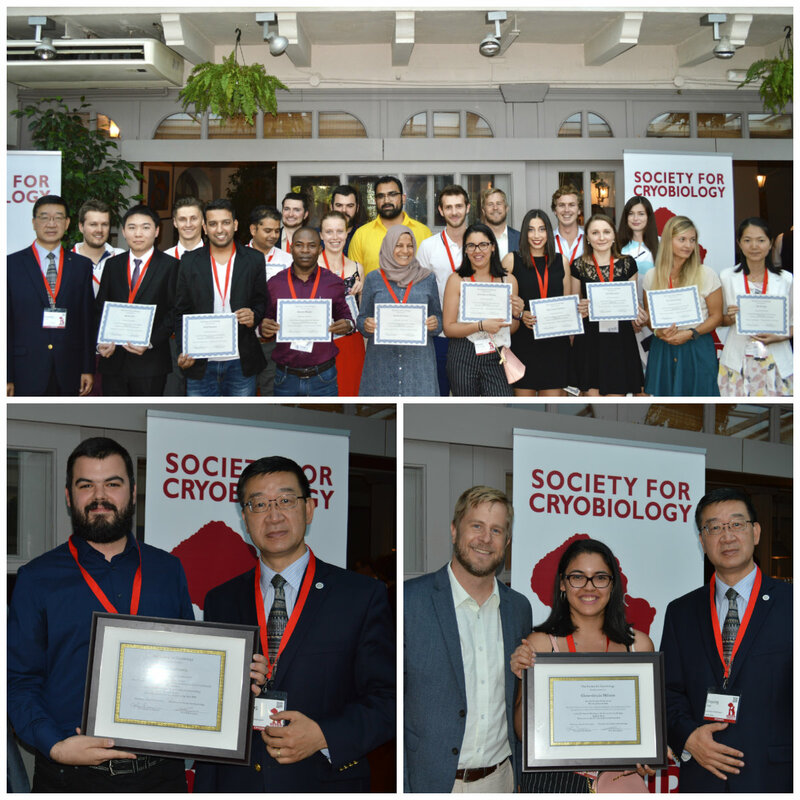 Bottom Left: Zoran Marinovic, winner of the Crystal Award, pictured with Society for Cryobiology President, Dayong Gao. The Critser travel award is awarded to the student with the highest rated extended abstract. 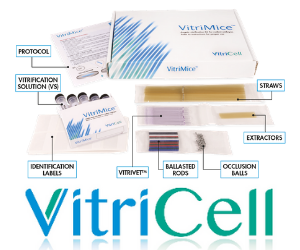 This year's winner was Vitalii Mutsenko, a PhD candidate in Regenerative Sciences at the Institute for Multiphase Processes, Leibniz University Hannover, Germany. His research develops methods for xeno-free cryopreservation of stem cells in suspension and cryopreservation fo 3D tissue-engineered constructs. 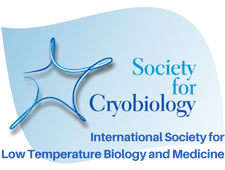 This year the Awards Committee received an unprecedented number of applications for student travel support for CRYO2018. Out of 54 applications received, the committee was pleased to offer student travel awards, valued at over $15,000 to 18 students from Europe, North America, the Middle East, and Asia/Pacific. The travel grant covers meeting registration and some travel and accommodation costs. The meeting began with the traditional President's Reception at the UNESCO World Heritage Site the Residencia de Estudiantes, site of lectures by Marie Curie, Albert Einstein, and other famous scientists from the late-nineteenth and early-twentieth centuries. Delegates were serenaded by by Arriverderci Lola, who played a mixture of traditional and contemporary Spanish songs. The gala banquet and awards ceremony was held on Thursday July 12, and is always a highlight of the meeting. CRYO2018's sponsors were presented with certificates of appreciation, and a number of outgoing Board members received service awards, including Adam Higgins, treasurer 2014-2017 and Wim Wolkers and Gang Zhao, both Governors 2015-2017. The winners of the Crystal and Best Poster Awards were announced, as well as presentation of certificates to all student award winners and travel grant recipients. 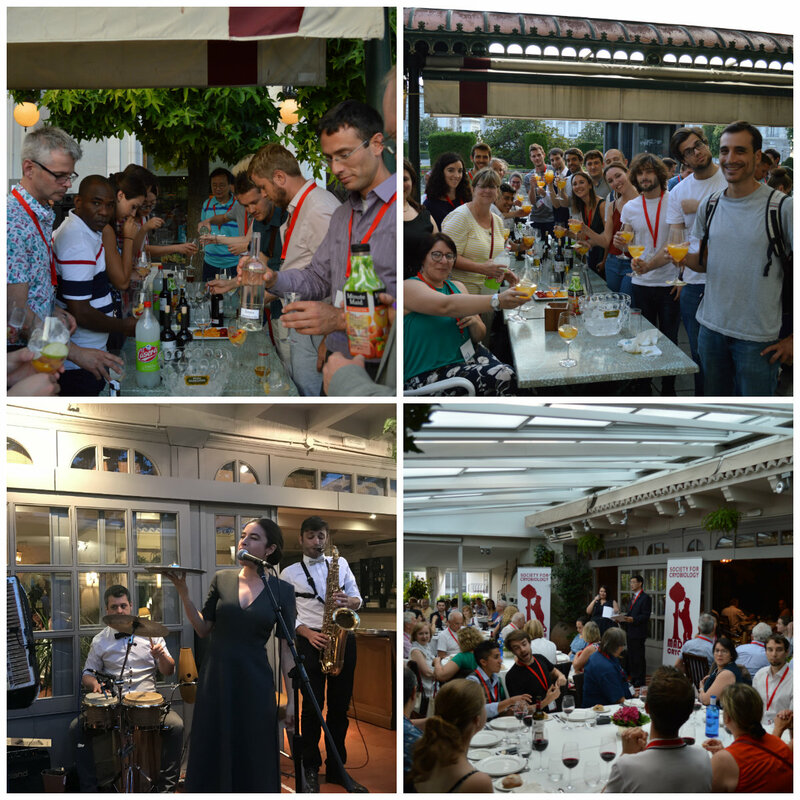 Following a traditional Basque dinner at the historic family-owned restaurant, Jai Alai, diners were treated to the unforgettable sounds of popular Madrid swing band, Music a la Carte, and revelry continued late into the night. Comments on "CRYO2018 Report "